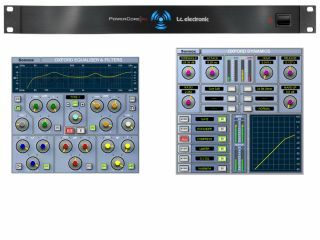 The Oxford EQ and Dynamics processors are included. TC Electronic´s PowerCore X8 is an excellent powered plug-in system; Sonnox makes some great effects for it. This being the case, the PowerCore X8 Sonnox Edition makes a lot of sense to us. As you might have guessed, this bundle contains not just the TC hardware, but also some of Sonnox´s processors. Specifically, we´re talking about the Oxford EQ and Oxford Dynamics plug-ins. These come in addition to the 14 plug-ins that ship with the PowerCore X8 as standard. Compatible with Mac and PC, the PowerCore X8 Sonnox Edition costs €1599. Find out more at the TC Electronic website.